So with this time off my husband suggested I re-do our upstairs closet which was haste done and has looked terrible for months so with this "time off" I decided to re-do it and wanted to share some steps. 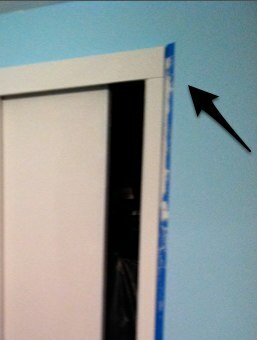 Cover the borders so you don't get any paint on the wall you don't want to get paint on it. Home Depot has good sales on paint tape so make sure to figure out how much you want to use. We underestimated and had to buy more twice so don't be us! 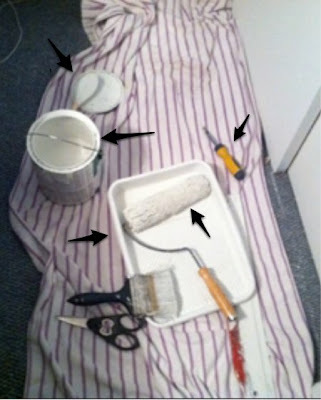 Roll the brush in even strokes, older closets - like ours - may have dings or marks you need to go over multiple times. One can of white paint can do SO much. We bought two for our entire house to cover all the doors, door frames and all the trims and there's still a half of can left. You don't have to get super expensive paint either - we got the cheapest kind and it was about $19. We used Home Depot for all our paint supplies and mostly everything afterwards. The people in the paint section are super knowledgeable. More paint posts to come! Sha-zam !